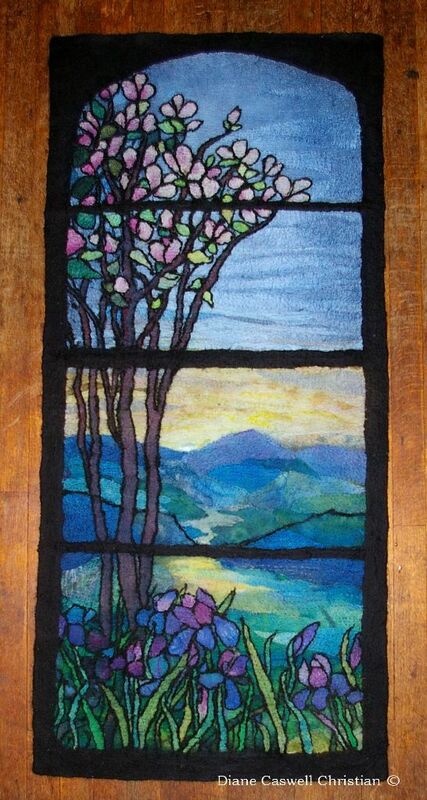 This piece was created by cutting pieces of silk to imitate the individual pieces of glass in a Tiffany Window. 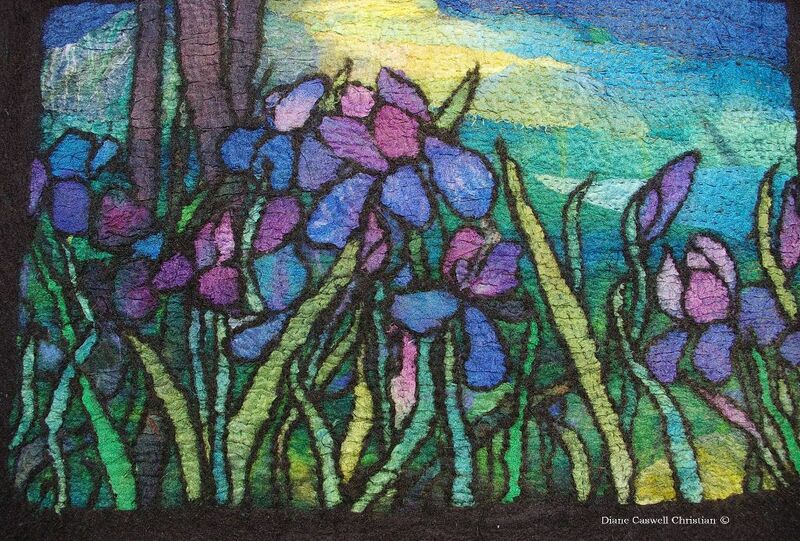 The piece was then wet felted to a soft felt stage and hand stitched. 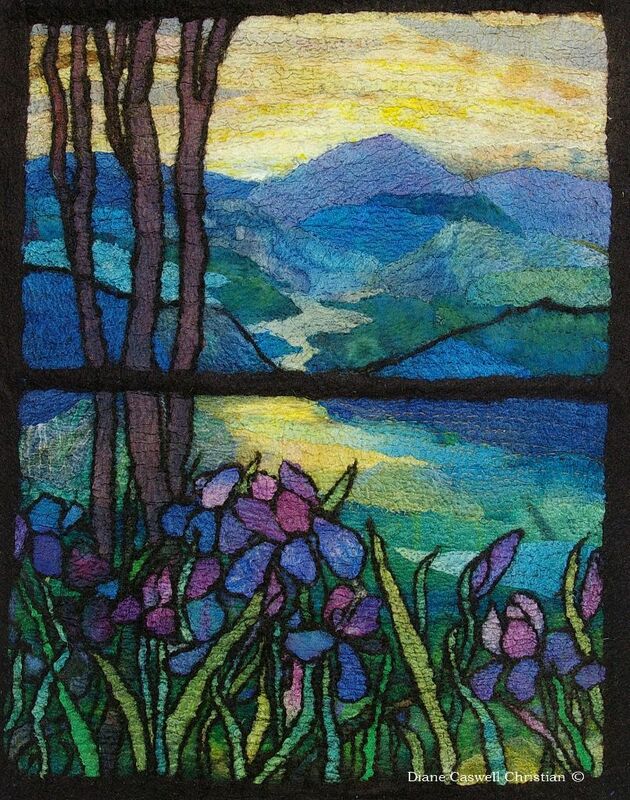 Pencil roving was added to imitate the leading of stained glass. The piece was then fulled a bit more creating a cohesive piece of felt.